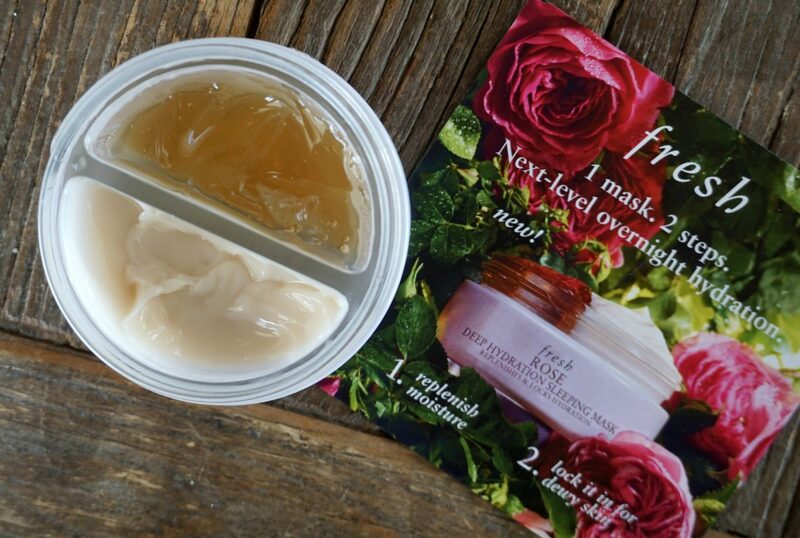 When the brand new Fresh Rose Deep Hydration Sleeping Mask mailer arrived a few weeks ago, I checked online immediately to make sure the original, iconic, legendary Rose Face Mask hadn’t been replaced. Luckily, it’s alive and well. 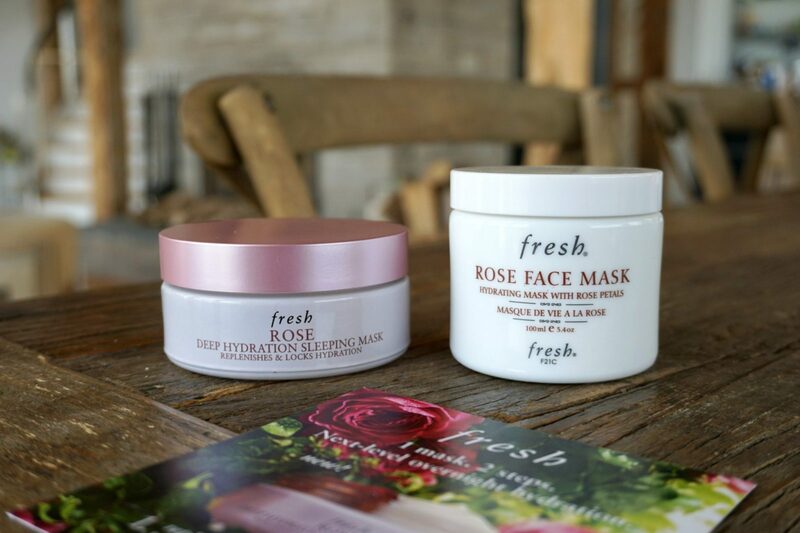 The rose infused line, however, keeps growing and this latest ancillary is a great addition to your masking routine, especially if your skin is feeling parched during this desperate transition from winter into spring. Unlike the classic rinse-off formula, this leave-on treatment delivers two layers of soothing hydration to plump and freshen the skin by morning. How does this newness work? 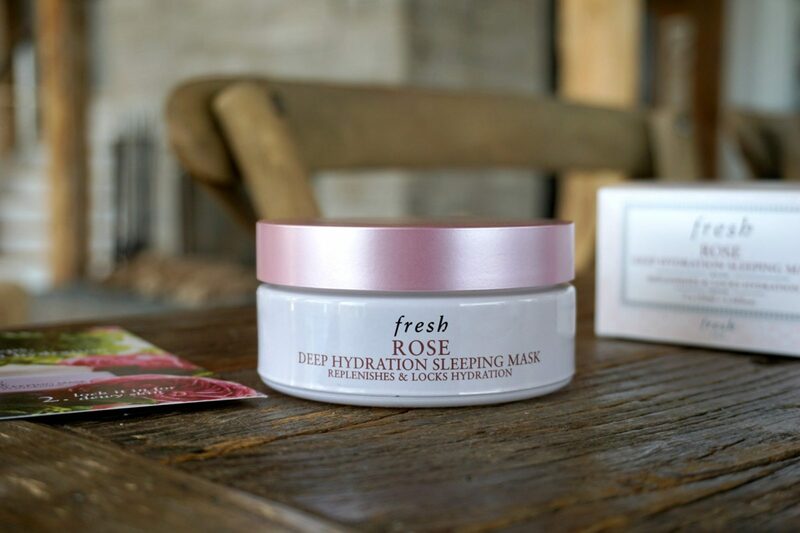 The first step of Rose Deep Hydration Sleeping Mask is a cooling gel, packed with rose flower water and hyaluronic acid to plump up the skin. The second layer has a gel-cream texture and works as a sealant to lock in hydration with more nourishing plant extracts. The beauty of this two-step treatment is that the duo absorbs fully without pilling or feeling sticky. There is also no waiting time between steps as the gel essence sinks into the skin in a matter of seconds. If your skin craves more moisture, you can always top off with a few drops of a facial oil. Remember that hydration is water, moisture is oil — you may need both, especially if your skin leans dry (or you’re in the midst of winter). Personally, I prefer to let the mask do its job solo. I’m all about the single variable results. As much as I love the OG, you can’t wear the Rose Face Mask to sleep. 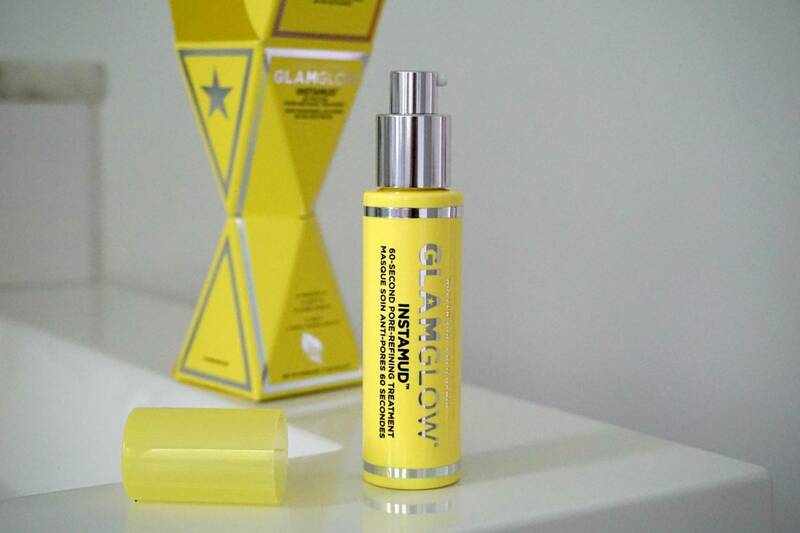 It’s a great quick fix to boost your glow before an event or to help you recover post-jet lag. The new Sleeping Mask is a multi-tasking hybrid of a hydrating serum and an uber moisturizing yet lightweight gel that provides lasting hydration overnight. While also a sensory experience (the delicate rose aroma is on-point), the sleeping formula omits the specks of rose petals for practical reasons. If you’re after a weekly or bi-weekly treatment that simplifies your PM routine with a single jar, definitely give it a try. I’ll just come out and say it: I absolutely abhor split-container jars. The concept may work for food storage, but when it comes to a mask, a glass jar with a plastic inner lid gives me major anxiety. 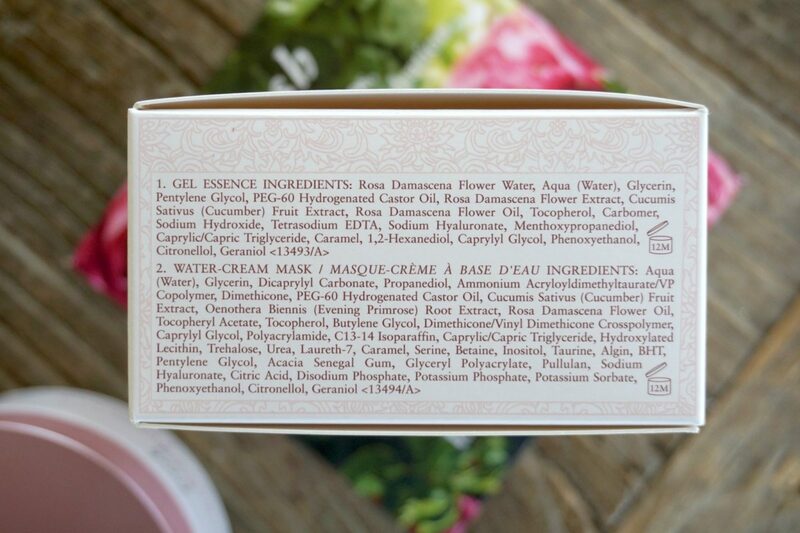 Don’t worry about running out of one formula before the other because you really do use equal amounts of each. However, they are bound to mix slightly unless you replace the inner lid with precision after every use. In summary, hate the packaging, really like the product. My OCD is in full on mode every time I reach for this one. 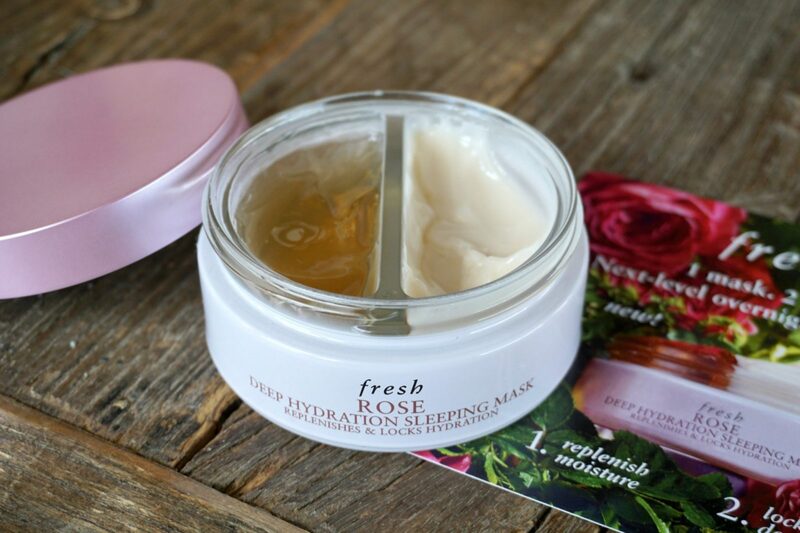 At $50, the Rose Deep Hydration Sleeping Mask is definitely a splurge, especially considering that each ‘chamber’ is 0.35 oz. in size. If you’re on a tight budget, check out Glow Recipe Watermelon Glow or Laneige Water Sleeping Mask instead.